As professional belt filter press manufacturers, LZZG is committed to solving the problem of sewage treatment, and providing you with complete assembly line products and services from design, production to sales. In the process of development for many years, we have innovated in response to customer needs and gradually developed into a comprehensive professional technology enterprise. 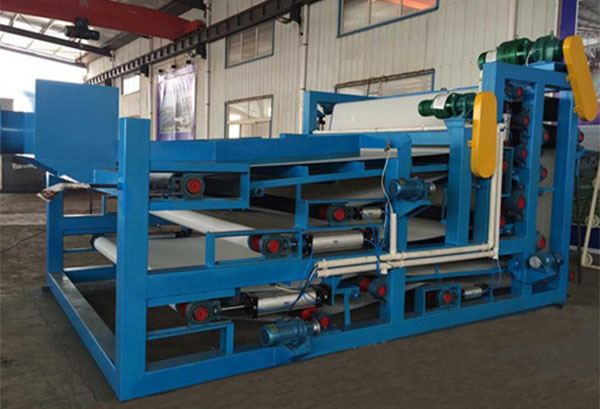 Belt filter press is a new model developed with the introduction of foreign advanced filter press technology and continuous improvement and upgrade. 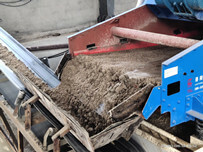 The device is a filter press device which is wound on a series of rollers arranged in sequence and of different sizes by two filter belts, and uses the squeeze and shear between the filter belts to remove moisture in the slurry. 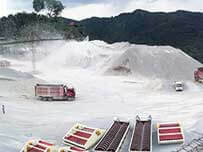 Belt press has the characteristics of large processing capacity, is especially suitable for tailings mud dewatering of iron ore, copper ore, lead-zinc ore, fluorite ore, bauxite, rare earth ore; ore dressing wastewater, sand washing mud, sand plant dewatering operations such as sludge. 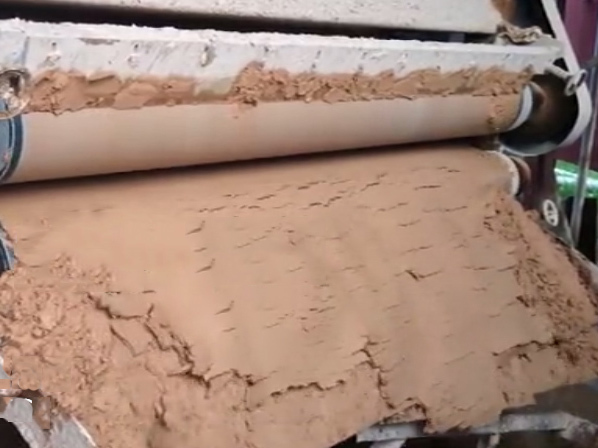 Mud cake moisture content after treatment: <40%. Mixing device, distributing device, gravity dewatering device, wedge-shaped dewatering device, high-pressure dewatering device for squeeze roller, automatic dosing system, air compressor, gas-electric control system, and the like. 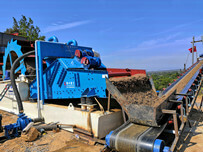 Gravity filtration, vacuum filtration, pressure filtration and centrifugal filtration. Under the action of pressure difference, the liquid in suspension passes through the filter medium, and the solid particles are trapped by the medium, thereby realizing the separation of liquid and solid. Has the equipment that are necessary to achieve the separation process; maintain a certain pressure difference on both sides of filter media. 1. 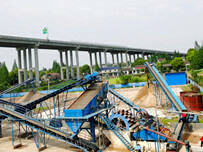 Compact structure, reasonable design, high sludge dewatering rate and beautiful appearance. 2. Small footprint and long service life. 3. High efficiency, energy saving, high automation performance, tight cylinder control, automatic correction of filter belt, and continuous and reliable work.